Recently the boys attended the children’s holiday club at our church. They had a great time! One of the ways in which the children were motivated to join in was by giving them fake coins to put in little purses. They were all counted up at the end of each morning and, at the end of the week, the group with the most coins won a small prize and the individual children with the most coins won prizes too. Unfortunately the sweet little purses that the girls were given were not very well made and, by the end of the second day, a lot of them had broken. The boys’ purses fared better; the only issue was that some of the tags fell off. Knowing that this was something I could help with, I offered to make some replacements. 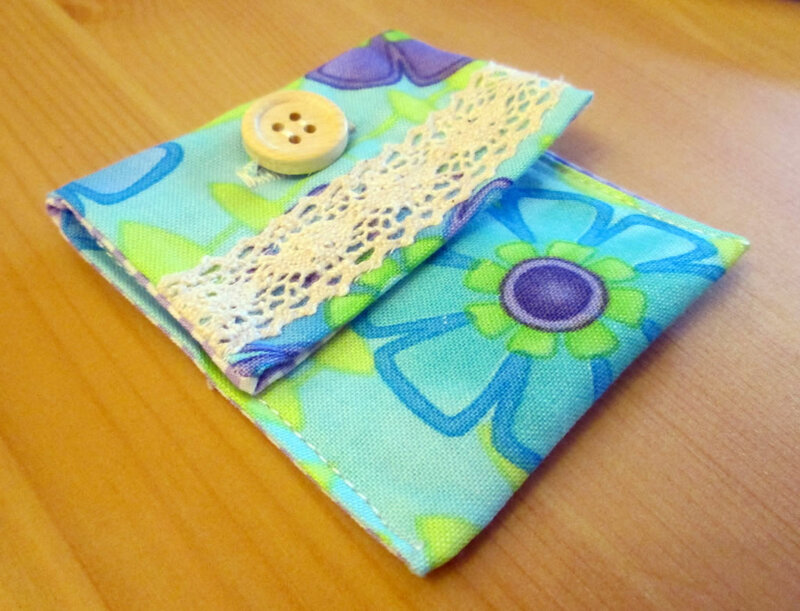 As the children needed new purses for the next day, I needed to come up with something that was quick to make but would also be robust enough for the children to put their pirate money into. So I came up with this! I wanted the purses to be lined and they needed to have a flap so that the money wouldn’t fall out. They also needed to be quick to make. They did come together pretty quickly but they took longer than I expected! 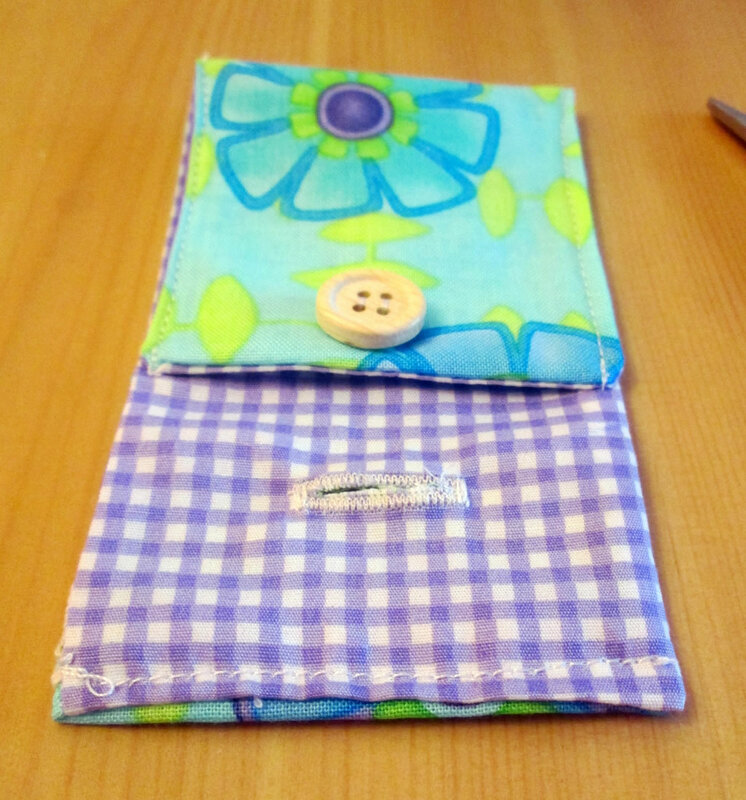 However i managed to make enough so that the kids whose purses had broken all had a pretty replacement the next day. 1. Cut 2 rectangles. One will be the outer, the other the lining. 2. 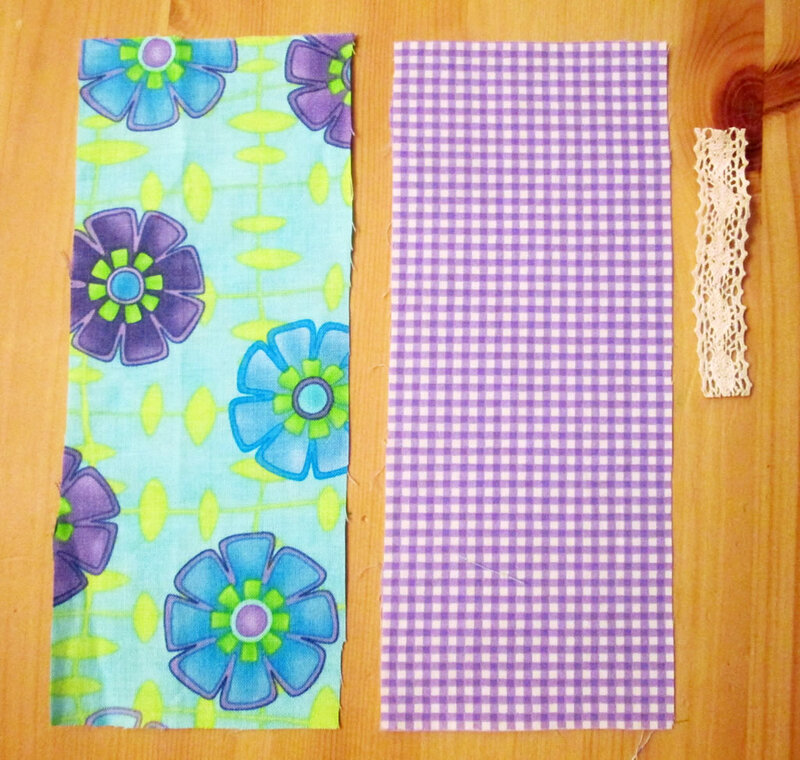 Cut a piece of ribbon or lace the same width as the rectangles. Pin it to the outer rectangle near one end. Sew in place along the edge furthest from the short end of the rectangle. 3. 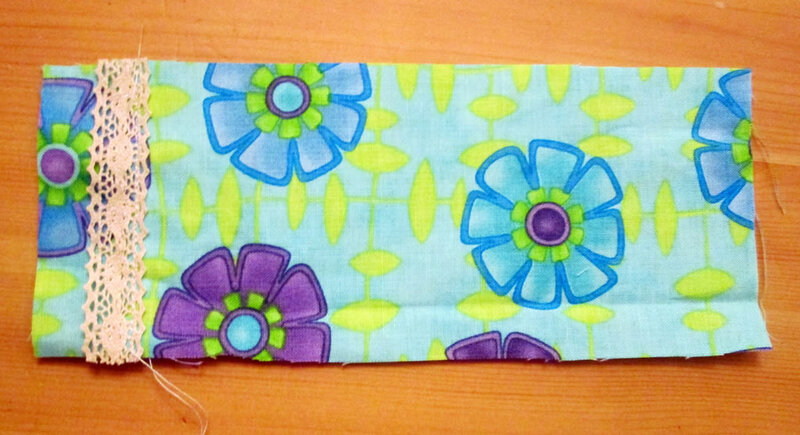 With the right sides together, sew along both the long edges and along one of the shorter edges. Trim the seams and turn out. You might want to give it a quick iron at this point. 4. Tuck the raw edges inside and pin. 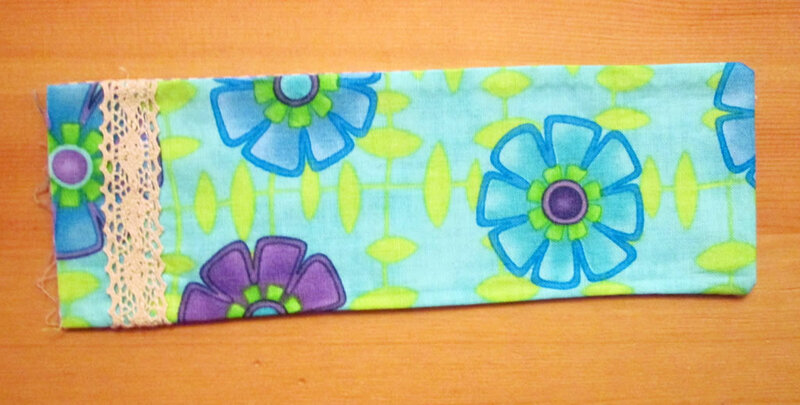 Sew along the unattached edge of the trim. Hopefully that will also hold the raw edges in place. If not, you will need to tuck a little bit more underneath. 5. Fold the rectangle into three. The top will be the flap. Sew along the edges of the bottom 2 sections. 6. 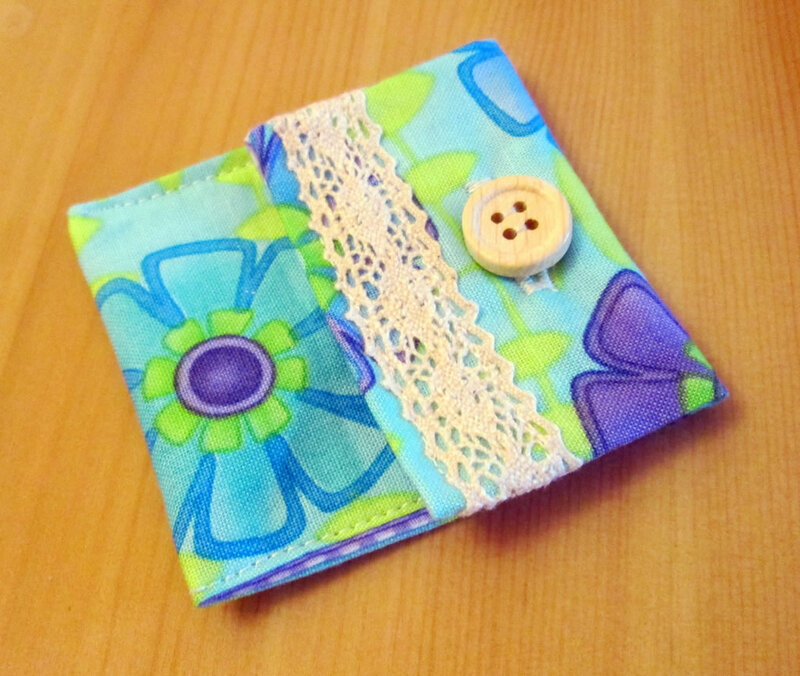 Decide where you want the button to be and make the button hole in the flap. 7. Cut the button hole open and, using a pin, chalk or a pencil, mark where the button needs to go. Sew on the button. I made about 15 in the end. The little girls liked them and they were robust enough to contain their pirate money! 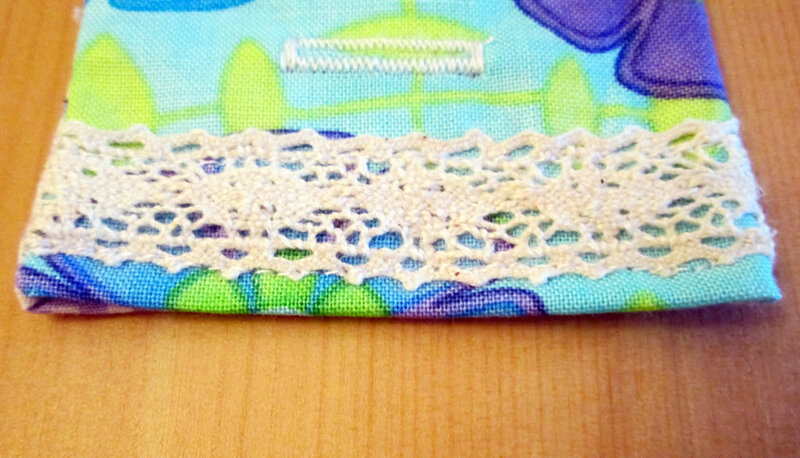 If you like this post, you might also like this post about making a little purse with a pretty lace zip! Really cute purse! I love the lacey ribbon. Thanks for sharing at Submarine Sunday!! 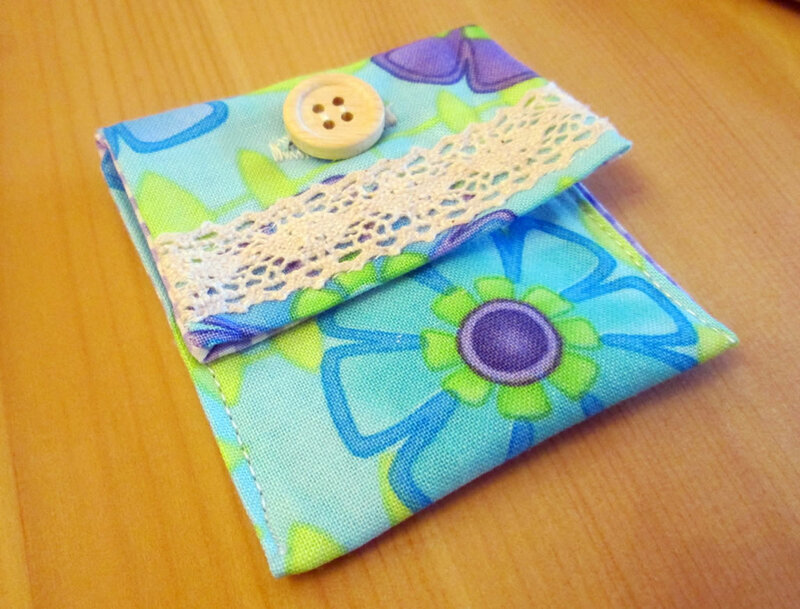 These would make a good project for a child learning to sew – with an adult doing the buttonholes. Pretty and practical, Anna.